The Chief of Army Staff Headquarters 6 Division, Brig Gen S.I. 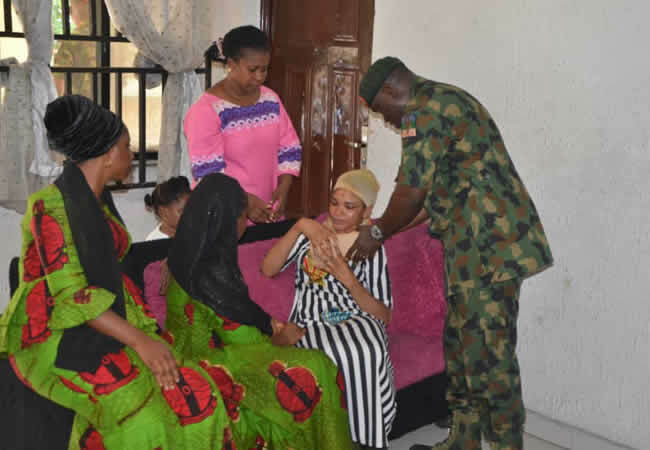 Igbinomwanhia, has paid a visit to the widow of Lt Col II Sakaba, one of the soldiers felled by the insurgents. The delegation visited with Mrs. Sakaba on Wednesday, on behalf of the GOC 6 Div / LCC JTF OPDS Maj.- Gen. J. Sarham. This was contained in a tweet on the verified Twitter handle of the Nigerian Army @HQNigerianArmy.